The Dutch predator fishing season opened just a week ago and as you could read in a previous update, it turned out to be a great opening weekend with multiple 10kg+ fish. The second weekend turned out to be another successful pike fishing weekend! Although the weather hadn’t changed at all (full sun and a constant 25c or higher) we started out confident. 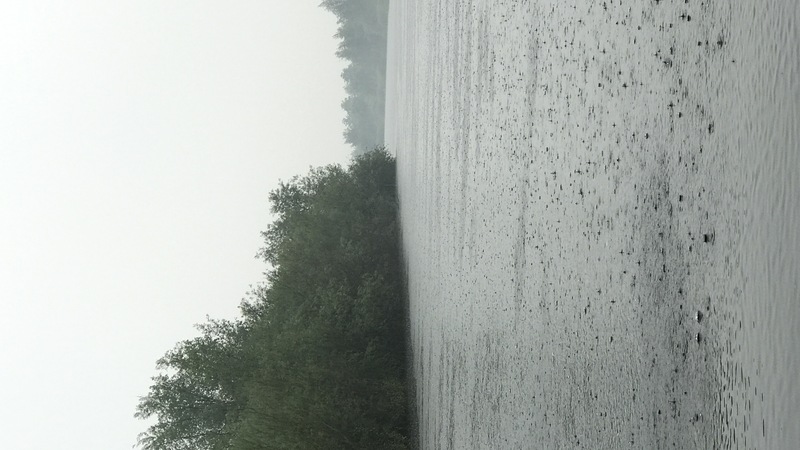 We changed location to one of the big rivers in the Netherlands and connected lakes, with the idea that it would hold more oxygen and thus more active pike. The first hour started slow but we found where the pike where located and started to catch a couple of fish. The 3rd fish turned out to be another beast, 118cm for buddy Jesper at 12,6kg! It took a 40cm line-thru trout in the color Golden Albino. The sun came shining at full strength, which was a disappointment because we hoped for some clouds and finally some colder temperatures. 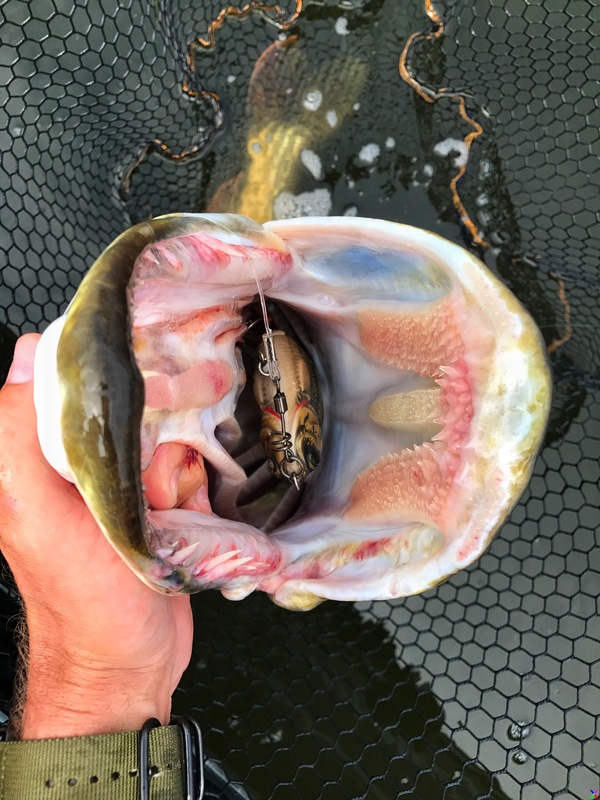 We didn’t have much time to think about it because I hooked an absolute beast on a Lucky Roach from Lucky Lures. It inhaled the swimbait and jumped a dozen times before we could get her in the boat. A quick couple of shots and on the measuring board. With 125cm an amazing fish! Then all the sudden a thunder storm arrived and we had to take shelter. After weeks of drought the rain started pouring, something nature has been waiting for a long time. Too be honest we embraced the lower temperatures and just waited out the storm for a good hour, knowing that thunderstorms somehow have a good effect on pike activity. Finally some much needed rain! We searched for new spots with vegetation close to the surface and fish over and through the weed, since these spots are a good pike location all year round. 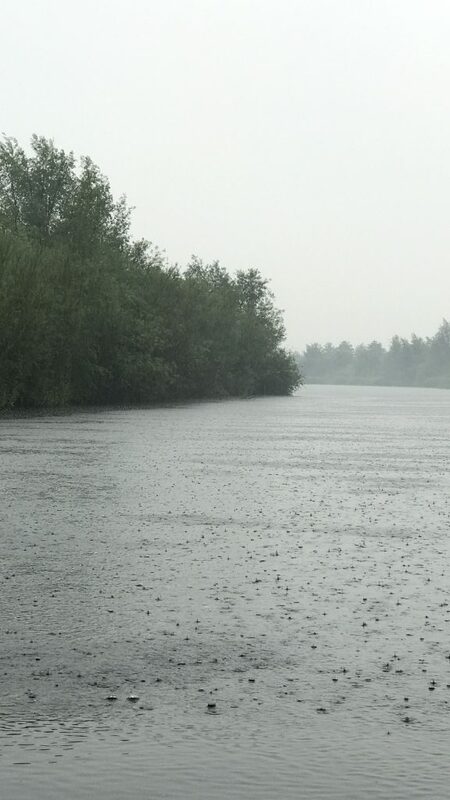 It can be frustrating in the Netherlands since some good spots are only “fishable” for a couple of weeks. After that the weeds are too thick and even fishing with weedless constructions tends to be difficult. One of the downsides of clearer water one could say. 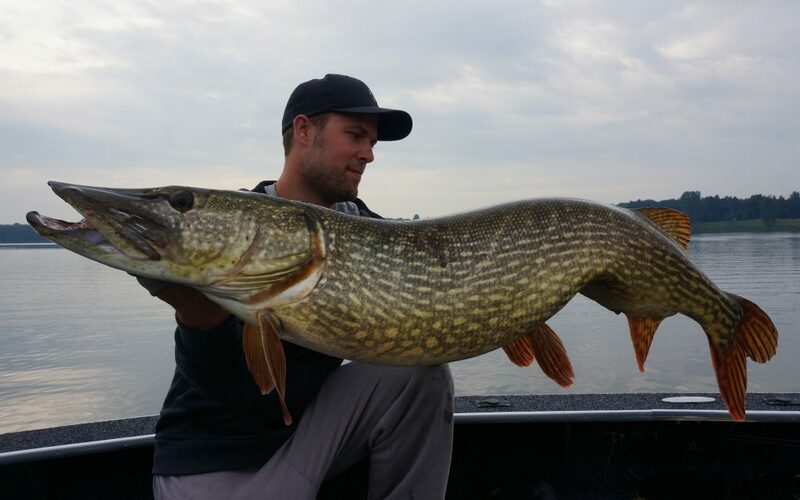 In the afternoon, the fishing picked up again, with multiple 90cm pike and a muscular build 102cm fish. The tend to get well build over here, having super wide shoulders but a short body and a thick tail. ‘Only’ 102cm but well build! We decided to watch the Champions League final on the boat (gotta love this modern technological era) and continue fishing. 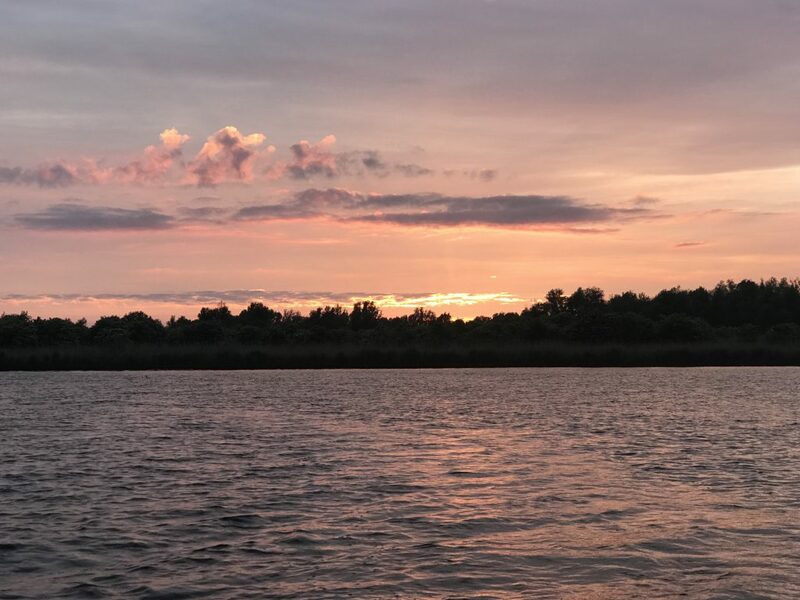 We want to make the most out of these long, early summer evenings before the actual summer kicks in and makes fishing harder. It turned out to be a great decision, since pike activity got even better and multiple good fish made a short pit stop in the boat. 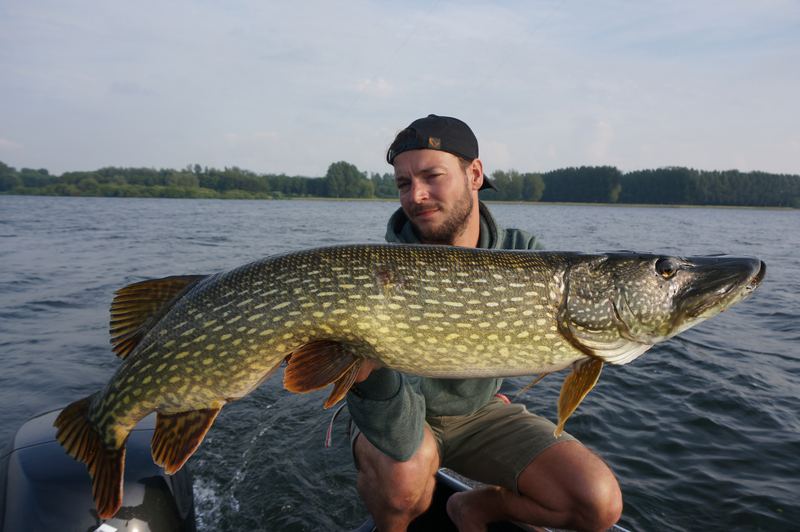 In the evening we took another 113cm and 107cm pike, catching around 20 pike that day the average size was pretty good. We did both spinfishing and trolling, mixing things up whenever we felt one tactic would suit better than the other. 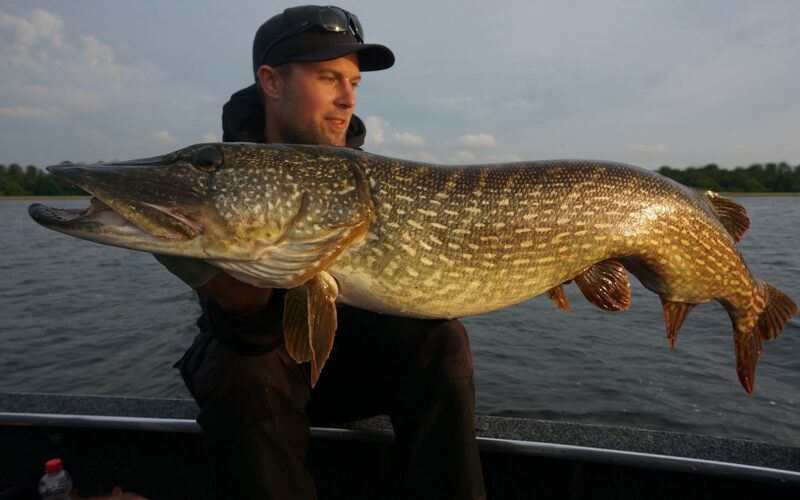 Those fish came from different depths, the 125cm pike was caught super shallow against the shore while the 118cm pike came from 7m of water with the lure running around 5m. Pike where scattered across the water and thus trolling was a good method to find to fish. Once found we could do multiple casts on hotspots to get the most out of the situation. The next couple of weekends will be focused on working as a fishing guide before heading to Sweden to do my traditional trolling trip on Vänern. If you want to keep up on my results and the rest of the White Label anglers, check out our Instagram page or Youtube channel! Amazing fish in the final hour of daylight. What an end to another great day out on the water! ← Geweldige start van het nieuwe seizoen!